CaféNova is a new project from the founders of SchoolNova at Stony Brook. 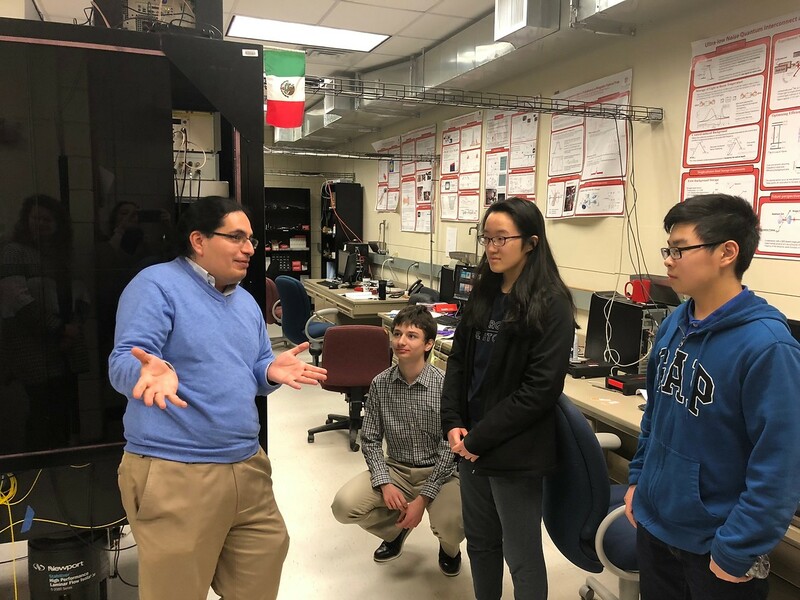 The idea of the project is to bring students from local high schools together with graduate students, postdoctoral fellows and faculty of prestigious institutions such as SBU, BNL, and Simons Center for Geometry and Physics, all in an informal setting. Rather than giving official presentations, scientific researchers in various fields are there to answer your burning questions about their research, education, what life is like for people in academia, and what advice they can give to high schoolers like yourselves. High school students can choose from our impressive and diverse “menu” - every meeting is attended by researchers and students working in different fields of science! If you are a high school student thinking of majoring in mathematics and/or science. If you are a high school student not thinking of majoring in mathematics and/or science, but you really enjoy those subjects. If you are a high school student enjoying discussing math problems and participating in math/science competitions. If you are a high school student looking for a warm and comfortable place to meet your like-minded peers, to play some mathematically rich games and simply connect with new and interesting people. Do you want to Major in STEM? Actually, that's a question only you can answer. Some people have a passion for the intellectual challenge: solving difficult problems and proving conjectures are true. Others understand the versatility of a degree in science. If you decide to major in math or science, the question you will most be asked is, "What will you do with your degree, teach?" If you want to know what is out there for you, visit CafeNova! 7.30 to 9 pm - SPECIAL BONUS - stick around for a time of fun and games after round-table discussion ends! And more - group discussions, tea, coffee, and snack. Where: Room S240 (basement of Math building). Campus map (math building is in the upper left corner of the map) can be found here.